The University of Washington Postdoctoral Association (UWPA) represents all postdocs working at the University of Washington and affiliated institutions. We continually strive to maximize the experience of our postdocs and we are deeply committed to enhancing the welfare and fostering the professional development of the entire postdoctoral community. Recap the March Monthly Conversation! 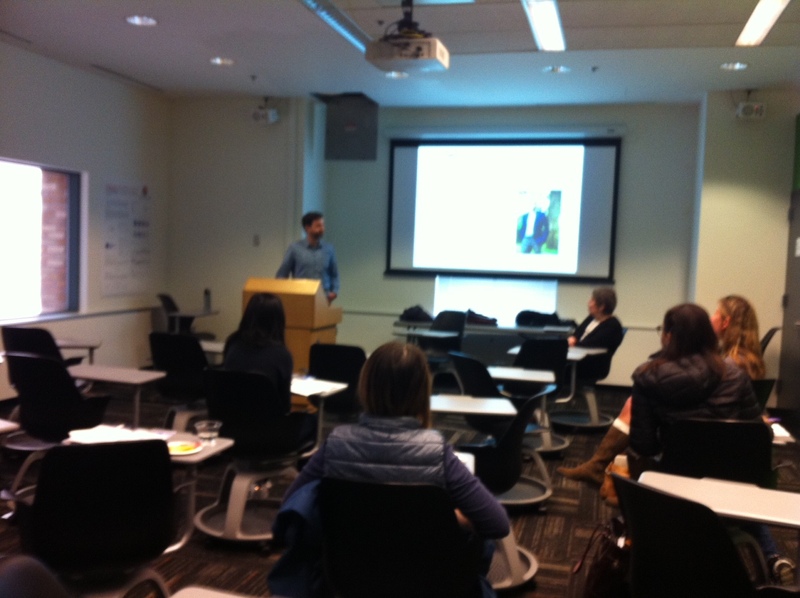 The topic of our March Monthly Postdoc conversation is “Learn More About Tech Transfer and Maximize the Impact with your Research“, featuring opportunities with CoMotion. CoMotion is the collaborative innovation hub dedicated to maximizing the economic and societal impact of UW community. At the conversation, we had Forest and Gail, Managers from CoMotion to give us a thorough introduction on tech-transfer and commercialization, as well as opportunities such as workshops, fellow program and funding. UWPA Board takes San Francisco! 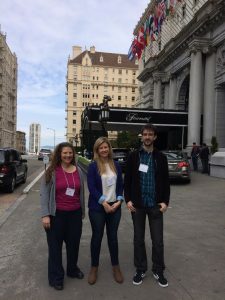 Members of the UWPA board traveled to San Francisco this March for the 15th annual National Postdoc Association conference. This year was the biggest meeting yet with over 450 delegates from academia and industry and many great conversations were had, reflecting the diversity of our community. The NPA seeks sustainable change and improvement for the postdoctoral experience and membership is open to any postdoc (and several professional societies offer joint memberships). 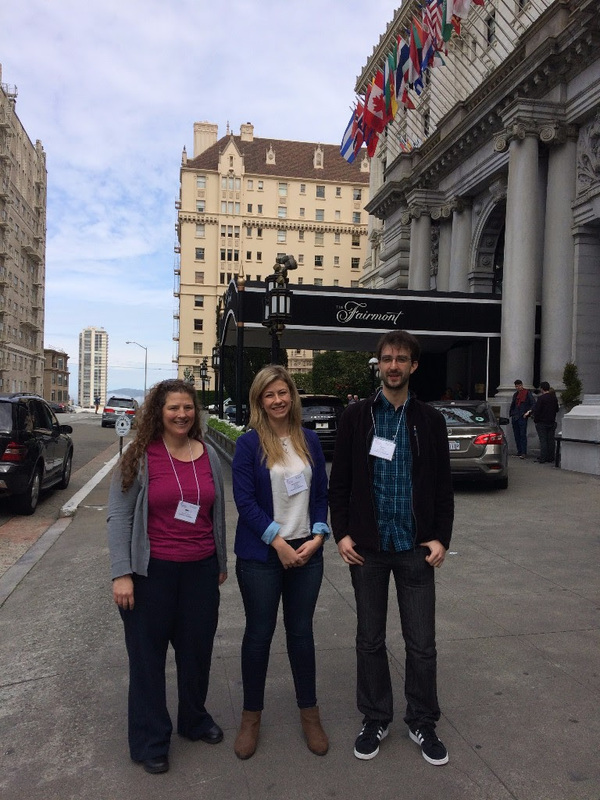 UW Postdocs at WA Junior Science & Humanities Symposium! Postdocs from UW participated in the Washington Junior Science and Humanities Symposium last week at Seattle Pacific University. Gabe Rocklin of the Biochemistry Department delivered the keynote address and Julie Van De Weghe and Alison Muir of Pediatrics Department served as oral presentation judges. 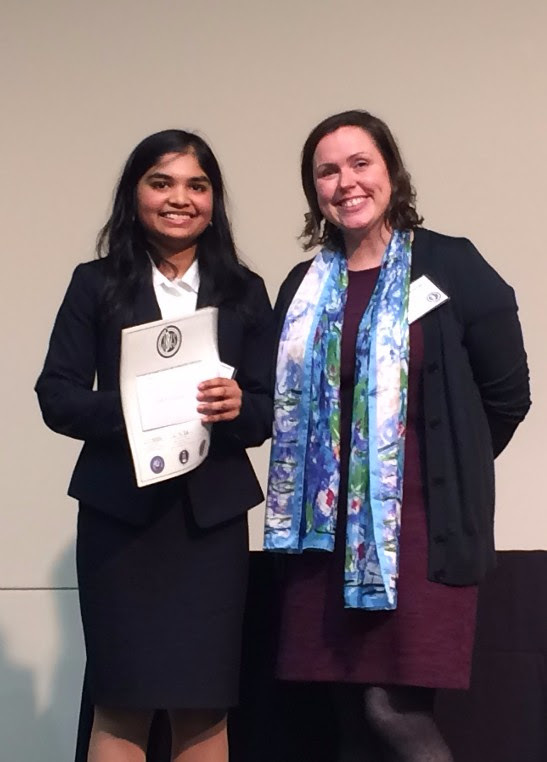 We sponsored two awards for outstanding posters and two awards for outstanding oral presentations. 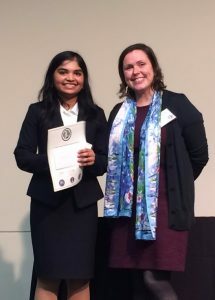 Our finalists now going to nationals presented projects on mycoremediation for cleaning oil spills and a novel neutralizing polymer therapeutic and diagnostic tool for sepsis!